There is genuine despair on the Right. More and more Republicans and conservatives see President Obama’s re-election as a disaster for future of the United States—yet feel powerless to stop it unless we find a special candidate to unite the shattered Right/GOP/Tea Party Movement, win over independents and then defeat Mr. Obama. That “special” candidate needs a unique combination of skills and temperament not seen since the days of Ronald Reagan: a strong vision of where the country ought to go combined with a personality that can sell that vision to more than 50% of the voters–plus a thick skin to be able to weather the inevitable onslaught from the virulently pro-Obama leftist so-called-Mainstream-Media which has everything they have ever believed in riding on Obama’s re-election. In their minds, Obama’s ascension to the Oval Office was an affirmation of their dreams–and his re-election will solidify and affirm that dream; his defeat shatters and rejects all they have believed in. Thus, they will do virtually anything to win the 2012 election. Losing the Senate–while a huge problem for the Left—is even acceptable to them; losing the Obama Presidency is not. 1. Fire-in-the-belly. This over-riding hunger borders on the obsessive. Virtually all successful political candidates, no matter how well they disguise it, would “walk over their mothers” to win, as Nixon White House aide Charles Colson once put it. 2. Self-discipline. The ability to rein in one's own worst instincts, habits and weaknesses. 3. Authoritative presence. Especially in the television era, candidates must project an air of gravitas and weight. 4. Raise money. All successful candidates find a way to raise enough money to win. Some, like JFK, merely asked their father to pay. Others spend years developing a network of donors; others cultivate special interests. However they do it, winning candidates always come up with “the mother's milk of politics.” Team Obama will raise $1 Billion. The Republican is going to have a tough time matching that. 5. Communicate a positive vision. Derided by President George H.W. Bush as “that vision thing,” it is this singular ability that elevated Presidents Kennedy, Reagan and Franklin Roosevelt into the political Hall of Fame. The skill to speak in a way that inspires voters is invaluable-and very rare. For the 2012 race, the only conservative/Republican/Tea Partier who can defeat the Obama Machine will have to have all five tools–plus he will have to connect with the American people like no other candidate since Reagan. He is right: if we are to defeat Obama in 2012, we need to find that Special Candidate. And, so far, he has not appeared on the political scene. Let’s hope he does–no later than this fall. 2.) On Lou Dobbs Tonight at 7 PM, on Wednesday, April 13th. Now that the preliminary fights—last week’s relatively-trivial struggle over a mere $38 billion in cuts—are over, we are about to proceed to the most epic and important national debate of our lifetime. This is the imminent vote in Congress to raise the national debt ceiling. Without an affirmative vote by Congress and subsequent presidential signing, the federal government will no longer be able to borrow money by issuing debt (selling U.S. Treasury bills) and will then soon be incapable of paying its bills, including interest payments to US bond-holders. Or, the United States of America—the greatest nation ever created—will have squandered all we have been given and spent ourselves into Third World status. But there is indeed another option: we can use this upcoming debt ceiling vote to force the radical spending and tax changes that are necessary to set us back on a sane course. All of these are major, wrenching, difficult, politically suicidal steps – and they will all have to be addressed simultaneously in order to garner the necessary votes to raise the debt ceiling. The White House and the Treasury Department are secretly in a state of near-panic over the possibility that the debt ceiling will not be raised. Thus we have this once-in-a-lifetime opportunity to save this country. And the Hand of God is involved: the Tea Party Movement, which arose over the debt, is now positioned in Congress to leverage this debt ceiling vote into a long-term plan to pay down the national debt. In other words, the Tea Party Movement is going to force the two parties and the political Establishment inside the DC Beltway to undo decades of irresponsible federal spending. The rhetoric will be epic. The anger real. The fear palpable. The demonizing of the Tea Partiers will be savage. But, here is my prediction: by early summer, Obama and the Left and Boehner, McConnell and the Right will make the Grand Bargain: major changes in all of the above, embraced by both sides, and forced by the courage of outsiders from the Tea Party who brought fiscal sanity to the process. America will once again admit its problems—and fix them. Thank God. Donald Trump’s emergence as a possible 2012 GOP presidential candidate has to be compared to the last billionaire—Ross Perot—who burst onto the political scene in February 1992 on CNN’s Larry King Live and completely altered that race and, in effect, elected Bill Clinton over President George H. W. Bush. • Now, how are Perot and Trump different? • Perot is a Naval Academy graduate and thus was always a straight-laced square person who wanted to focus his campaign not on himself but more on the debt status of the federal government. • Perot’s true—and heretofore-unknown—reason for running in 1992 was to ruin George H.W. Bush’s chance of being re-elected as payback for Bush’s criminal behavior in covering-up the truth about the POWs left behind—alive—in Vietnam when the war ended. Bush was head of the CIA in 1976—and has been dirty on the issue ever since. 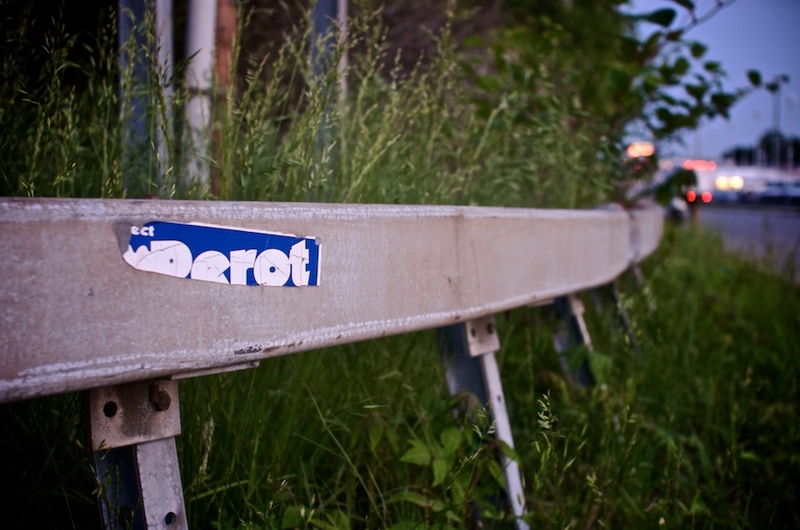 Perot was out to “get” him for this perfidy—and he did. • Donald Trump is all about himself—period! • Trump’s business and personal behavior over the years is not on the same level as Perot’s pioneering career in computers. Gambling casinos and three marriages are not going to fit with the still-powerful Religious Right—even if much of what (now) says on China and OPEC and Obama strikes a responsive chord. Conclusion: While our country is floundering in a weak economy, the allure of the billionaire savior can be intoxicating. But American does not need a savior! We are America’s saviors!!! Do not fall for the (momentary) allure of the easy fix—the idea that one rich man knows better than we do. No, as we see with the Tea Party Movement, we, the American people, are pushing, clawing, scratching and fighting to change our country’s economic future. We are saving the country! We just need to keep on pushing—and, like the Founding Fathers—God’s grace will shine on us.